Odessa College in Texas is moving its truck driving program back in house after years of having a separate company train big rig operators. The demand for drivers is strong with the addition of sand mining and the continued growth in oilfield activity. Louis Gonzales, continuing education associate dean at Odessa College, said a start date is not set to begin the program until the college gets the trucks and trailers it has ordered. But he hopes to have it up and running by the fall. The current program lasts four weeks and is a total of 160 hours, Gonzales said. The program cost is $4,150, which includes all the classroom and hands-on experience for students. During the February Odessa College Board of Trustees meeting, trustees approved purchasing six truck trailers for the truck driving academy. The $202,669 bid from Bruckner Truck Sales of Odessa was also funded by a grant from ODC. Six trucks also will be purchased from Bruckner Truck Sales for $780,074. The purchase also was funded by the ODC grant. Four of the trucks are 2019 Mack trucks with modified sleeper cabs that can be used as a classroom or observation deck; one 2019 Volvo truck; and one used 2012 Mack truck, which is a day cab truck. The student sits in the driver’s seat and the instructor in the passenger seat, but the other students can engage with them. Windows were requested on both sides so students can observe while the driving student is turning, or parallel parking. The 2012 Mack day cab is an 18-speed manual. The other trucks are 10 speeds. “Then we also will have six trailers. … We’ll have two van trailers. We’ll have a sand truck, or a belly dump. We’ll have a flatbed trailer, a drop deck and then a vacuum,” Gonzales said. “The reason we have a variety of trailers and trucks is so that we can meet the needs of the business and industry and kind of look like them. That’s why we chose not to have all van trailers, if you will, the box trailers but rather ones that the industry are using so that way we can match them and we’ll have the ability to train our students not only to drive CDL, but also how to maneuver … how to do operate them,” Gonzales added. He noted that there is proper braking, timing and distance with tanker trucks for example. There is a surge or liquid shift. “… If you’re going to stop, then all of a sudden you have whatever you have in your trailer come forward and that pushes you forward,” Gonzales said. Initially, the training pad will be behind the Gregory D. Williams Hall for Continuing Education, but Gonzales said they will be moving to the Odessa College Sewell Auto Tech Center. “As part of the plans, we’ve already talked about two classrooms, instructors’ offices, a break room and a little collaboration lab area where we’ll have the program at,” he said. Gonzales said there also will be driving simulators for students, which will help when trucks are out or if there is bad weather so students can still get hands-on training. On the average, the current program trains 15 students. “Our goal will be about 20 to 25. We just have to have proper staffing for that. We know the need is enormous here. … We have companies coming in asking about the program and want to recruit people right out of the program because it’s such high demand,” Gonzales said. He added that the Texas Department of Public Safety is backed up with people who want to take the CDL test, which includes a written component and driving piece, which they have had to drive to San Angelo for. “This seems to be a common theme across the state,” Gonzales said. 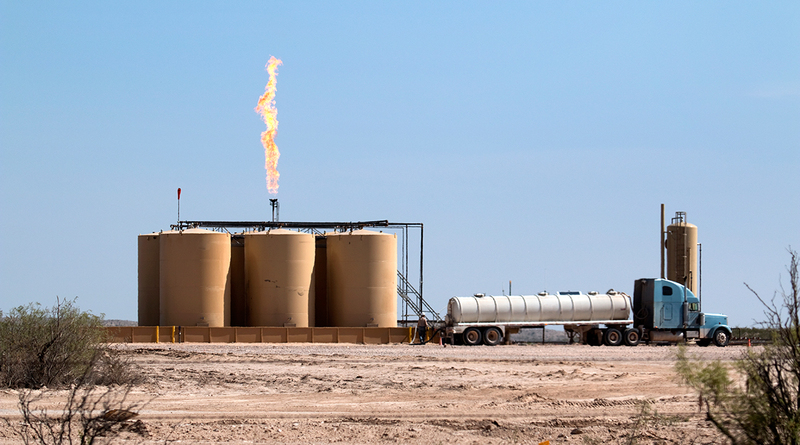 Willie Taylor, CEO of the Permian Basin Workforce Board, said the shortage of CDL drivers here is seen nationwide, especially looking at the Permian Basin oil and gas industry. Taylor said there has been a shortage of drivers for the last three or four years, possibly longer. And despite having truck driver training at OC, Midland and Howard colleges, businesses are importing drivers from out of state. He added that he’s glad OC has brought the truck driving program in house, but he still thinks industry will have to provide on-the-job training. Taylor said people on the workforce board are recruiting drivers from all over. Taylor said he sees the demand for drivers as being long term, taking into account aging drivers, new companies coming in and the addition of sand trucks. “Transportation is one of the critical initiatives we need here in the Permian Basin to sustain our growth,” Taylor added.